If you want to see everything Greensboro has to offer, there is no better way to do so from behind the wheel of a rental car from Budget. Don't spend time waiting for the bus or hailing taxis to go to the sights. Having your own vehicle allows you to go to the attractions you want to see the most, when you want. Make your next trip to North Carolina more enjoyable with a Budget car rental. With close to a quarter-million people, Greensboro is a city that has plenty going on. Many visitors come to enjoy Greensboro's attractive setting. Of course, this city has more going on like a burgeoning art community. Whatever you decide on first, you'll want to take in as much of Greensboro as you can during your road trip. And with your Budget rental car, you'll be able to see and do more of what this city offers. CarRentals.com works with some of the most dependable rental car dealers in the industry. Started during 1958 in Los Angeles, Budget always attempts to provide the best prices for their customers. With a name like Budget, you know this company will try to get you the cheapest price. How do I get the best rates on a Greensboro Budget car rental? CarRentals.com strives to get you the lowest price, whether you reserve your vehicle. However, getting your car ahead of your trip can help keep spending low. Make sure to read the mileage policy and don't add an extra driver to avoid any surprise fees. Do I need to bring anything special when I pick up my rental car in Greensboro? What's Greensboro's minimum age to rent a car? Budget's minimum age to rent a car in Greensboro is 21. Make sure to check Budget's policy, as there may be limitations if you are under 25 or for higher category cars especially. What kind of Budget rental car should I get for my trip to Greensboro? That depends on how many people you are traveling with and what activities you want to do in Greensboro. 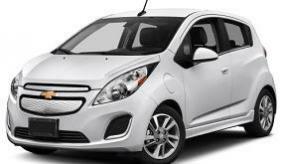 Economy or compact cars are ideal for short commutes and are easier to park. Commute times in Greensboro average 31 minutes, so you may find a SUV or mid-size car provides a more comfortable ride. Or if you want to keep your emissions down, then go for a hybrid vehicle. Those looking for a bit of luxury on their Greensboro vacation can choose a higher-end category like an Audi A4 or Cadillac XTS or similar. In the United States you do need to have insurance before you rent a car from Budget. Although many of the major card issuers, like MasterCard or Visa, offer some coverage, there are usually restrictions. For instance, they may not cover your rental car if you book a larger or luxury vehicle. Make sure to check credit card company's policy before you decide. Otherwise, as a United States citizen, you can also add on Collision Damage Coverage with CarRentals.com at checkout. Budget does require a deposit when you reserve your rental car. Budget will block the deposit on your credit once you book your car for your trip to Greensboro. Please be aware that the deposit will vary greatly depending on the make and model of the vehicle. We advise a full to full policy. You pick up your Budget rental with the needle at "F". However, if you return your rental with less than the amount that you received it with, most companies will charge a premium to top it back off. To avoid any added expenses, it is best to find a filling station before you bring your car back to Budget. Greensboro has plenty to keep you entertained, but you may want to head to nearby cities to see what else North Carolina has to offer. You can explore the rest of the region free of mileage limits once you've checked off all the activities in Greensboro. If you want to add some excitement to your Greensboro trip, you can also drive to Wet'n Wild Emerald Pointe Water Park and enjoy a day taking on the park's attractions. Does Greensboro Budget offer one-way car rentals? Budget usually offers one-way rentals. You may find it more convenient to return your rental at a different Budget. Don't forget there is typically an additional fee when you choose one-way. With so much to do and see in Greensboro, having access to a car lets you explore at your own pace. When you are ready to explore more of North Carolina, you can go wherever you like, without trying to hail a cab or sign up for a ride-share. Before your next business or leisure venture, book your Budget Greensboro car rental and visit all the must-do activities at your leisure. Reserve through CarRentals.com and drive the open road in Greensboro, North Carolina.